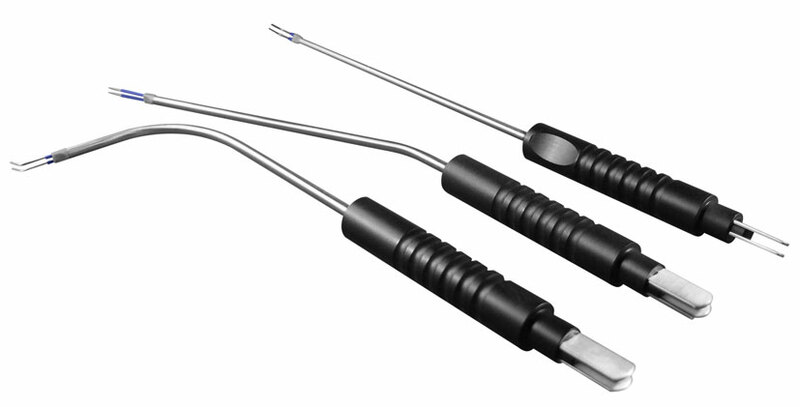 with 4,0 mm and 2,4 mm shaft for surgery and 1,6 mm for use in the fields of dentistry and dermatology. All electrodes are either available in an insulated version or in a polished stainless steel version. 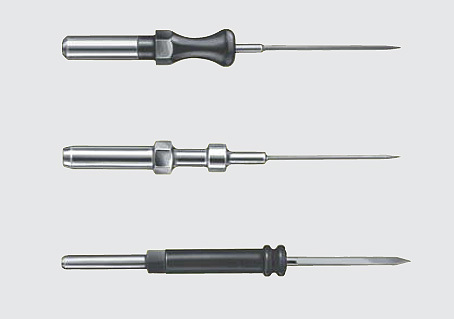 Especially valuable are our tungsten needle electrodes. All tungsten-electrodes offer ulta-sharp cutting properties and are highly precise due to fine tips. This results in less tissue necrosis and cautery. The high melting point of tungsten provides high mechanical resilience and a very durable tip. Light bipolar ENT electrodes made of heavy duty synthetic material. These bipolar electrodes provide a secure grip while working due to their groove profile and recessed grip. They can be cleaned fast and easily.